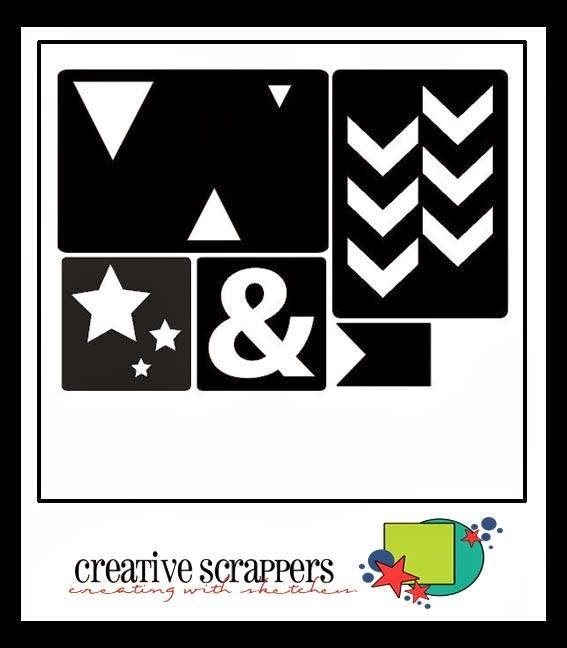 It's already time for a new sketch at Creative Scrappers and this month our sketches are sponsored by Scraptastic Kit Club. I had a lot of fun with this sketch, all the different squares and rectangles are perfect to go crazy with embellishments. 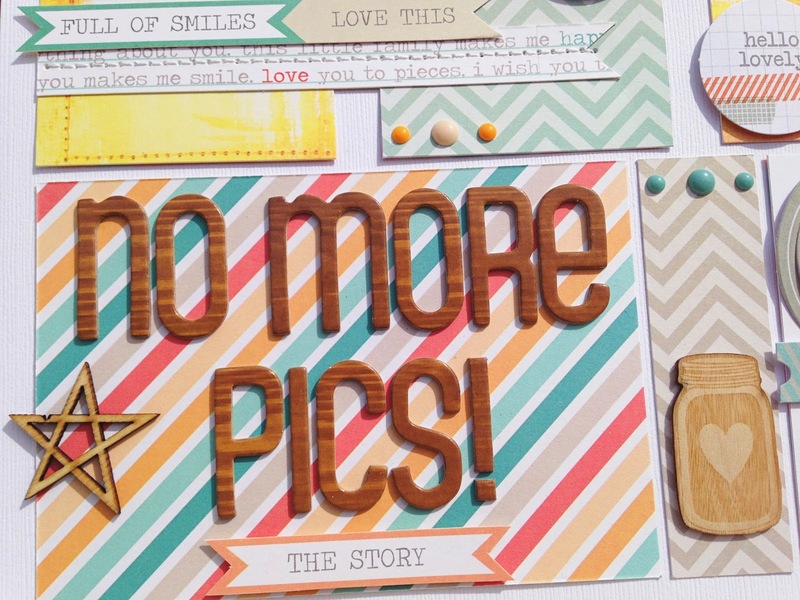 I used the Chic Tags Happy Place collection for this layout and added some wood veneers and enamel dots. 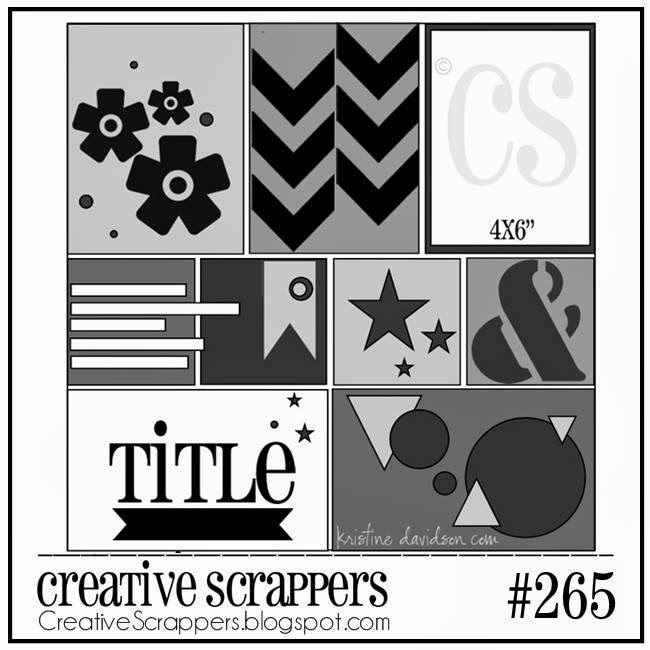 Hop over to the Creative Scrappers blog to see what my fellow team members made with this sketch! 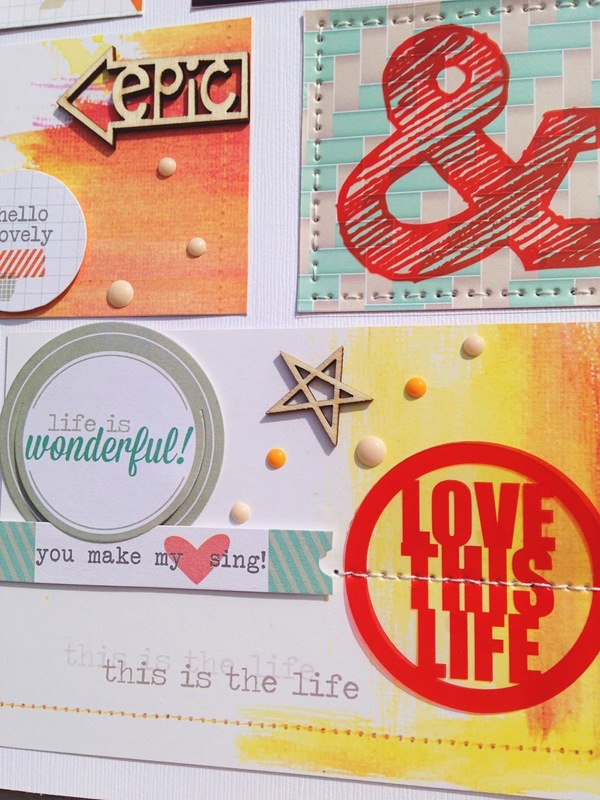 You can also link up your own layouts there that you've made with this sketch for your chance to win a Scraptastic kit! As a nice little bonus, teammember Jody created this awesome cut file for you to use with this sketch. You can download it overhere. This is soooooooooooooo fun! LOVING the colors!!! 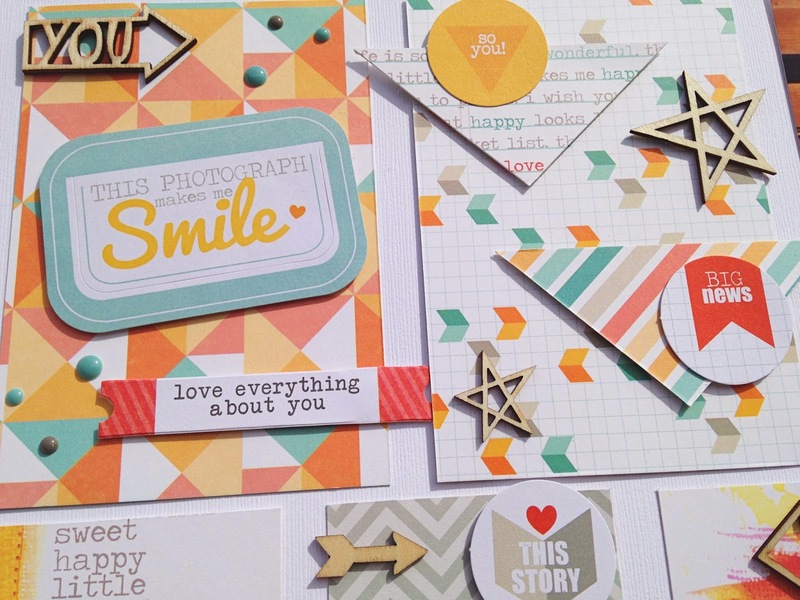 Very cute layout ! 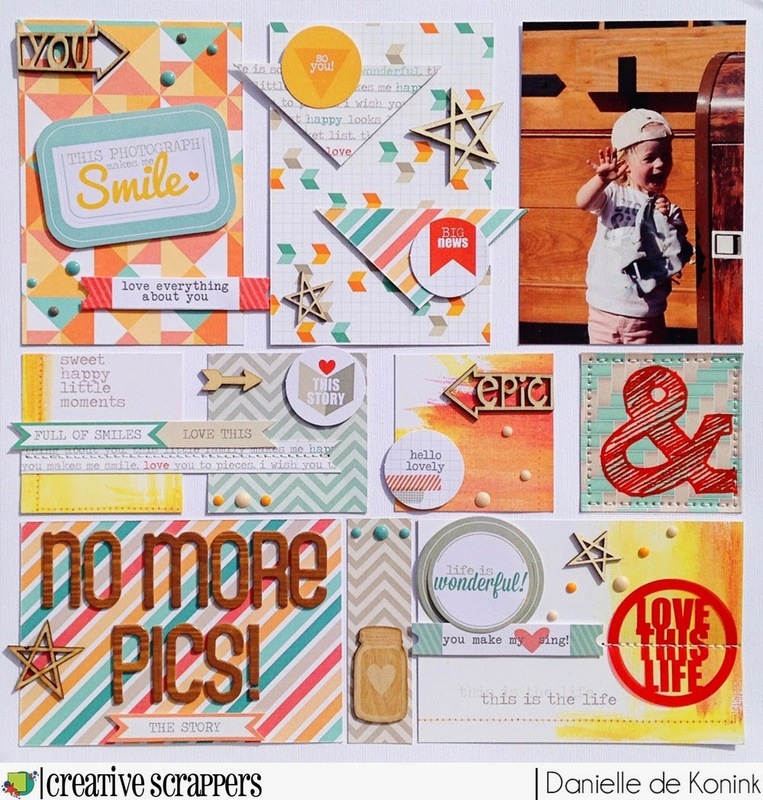 TFS the cut file ! Ik vind deze echt super gaaf!! De leukste van allemaal die ik bij CS zag!! 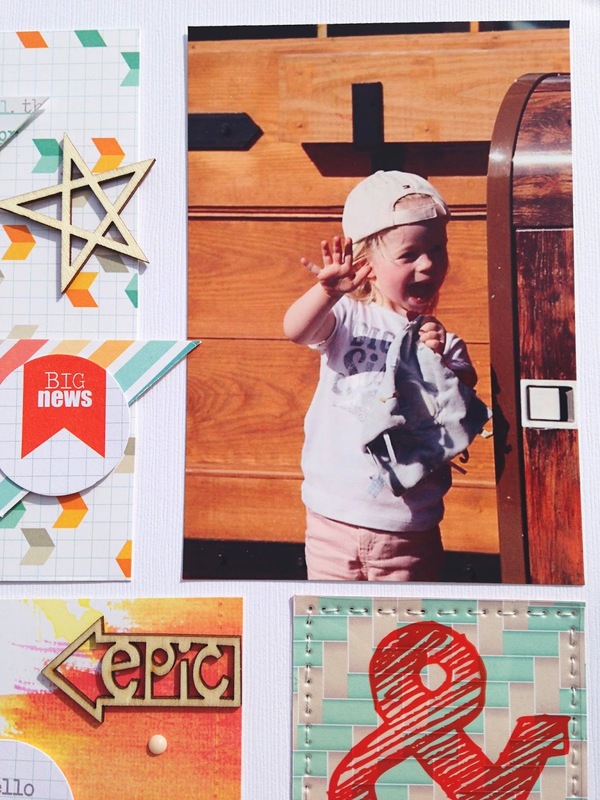 wow I'm blown away by your page !